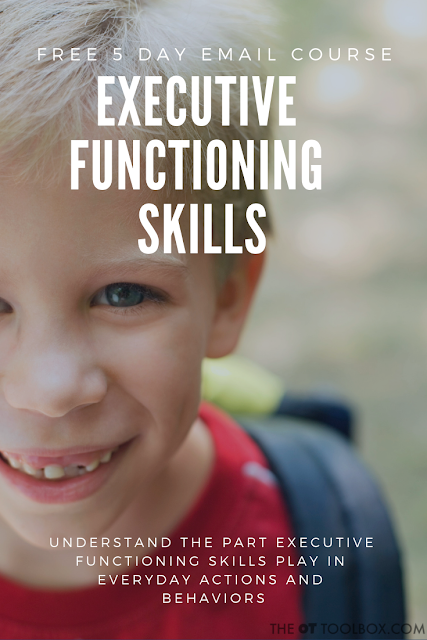 Wondering about what are executive functioning skills? Today, I'm very excited to share a mini course that I've been working on behind the scenes. 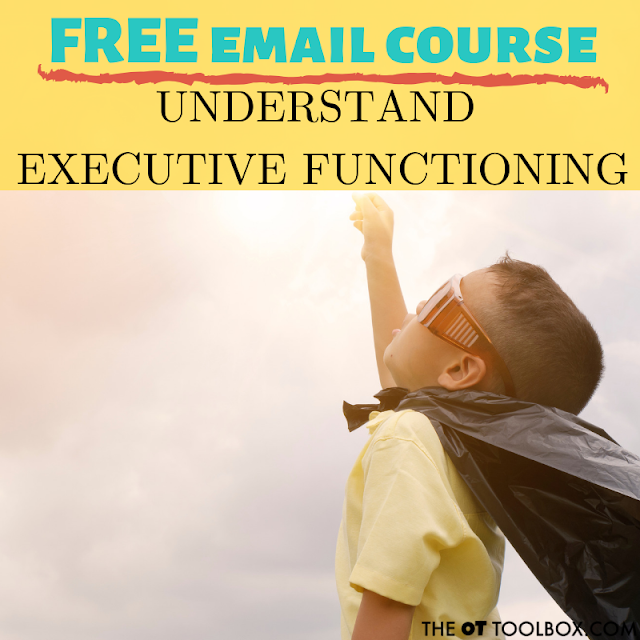 This Executive Functioning Skills Course is a FREE, 5-day email course that will help you understand executive functioning and all that is included in the set of mental skills. So often, therapists are asked to explain executive functioning. 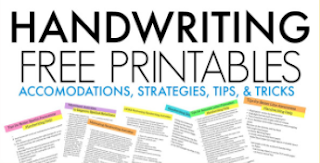 Parents are looking for insight and how to help kids who struggle with the underlying areas that play a part in attention, organization, working memory, impulse control, and the other executive functioning skills. 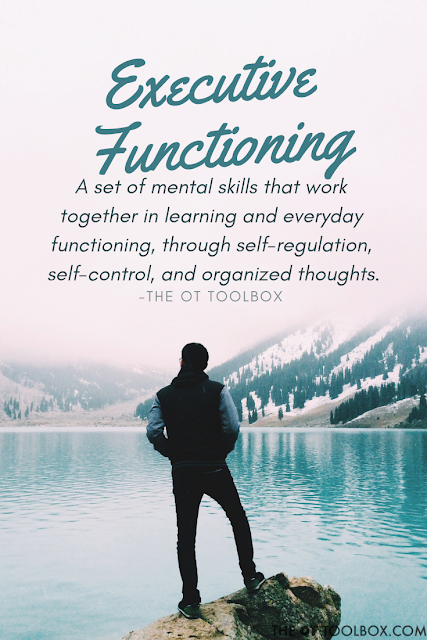 Teachers are looking for strategies to use in the classroom while understanding exactly what makes up executive functioning and how to help disorganized kids in the classroom. 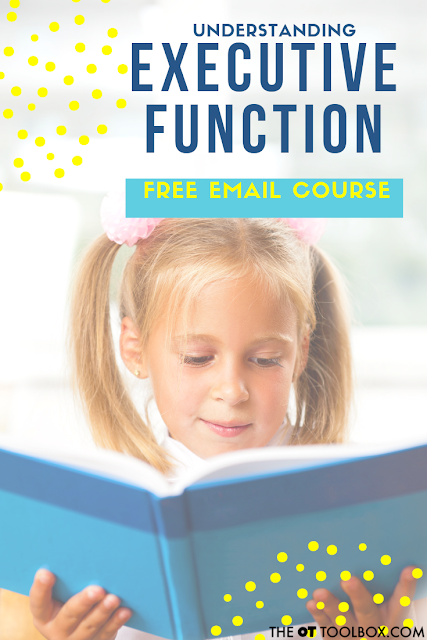 This executive functioning skills course will cover all of the above and describe strategies to help. The kiddo that is constantly late because he can't prioritize morning tasks like brushing teeth, eating breakfast, and getting dressed. So often, we KNOW kids are struggling with mental tasks that limit their functioning, safety, and learning. 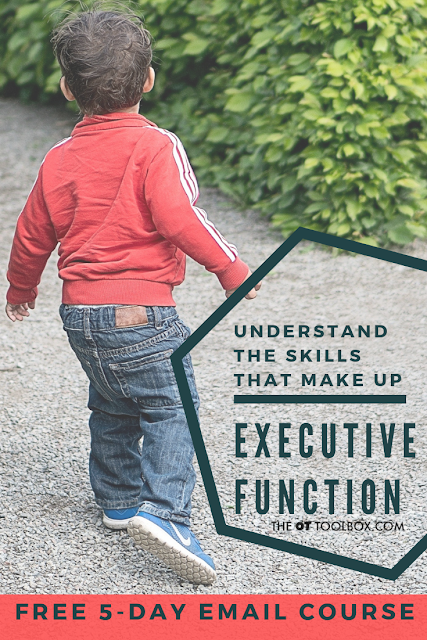 Here's the thing: executive functioning skills develop over time. Kids aren't instinctively able to organize, plan, prioritize, or use self-control. These skills occur with age, time, and use. 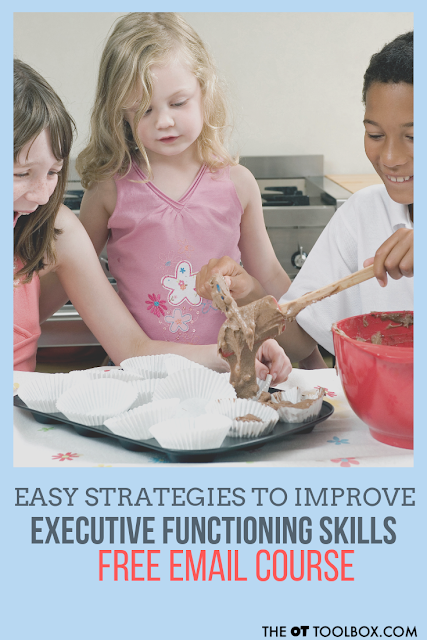 But, for the child that struggles in any one area, so many tasks that require executive functioning skills suffer. As a result, we see problems with social-emotional skills, self-consciousness, frustration, anxiety, or more! 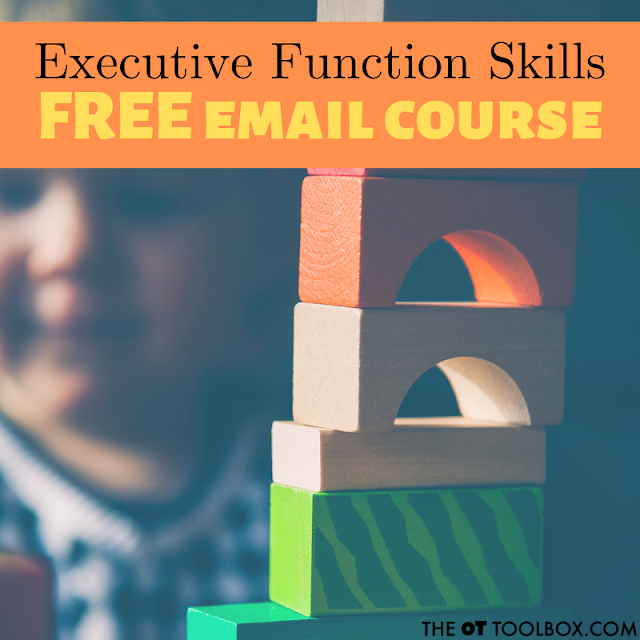 Information on Executive Functioning Skills, right in your inbox! 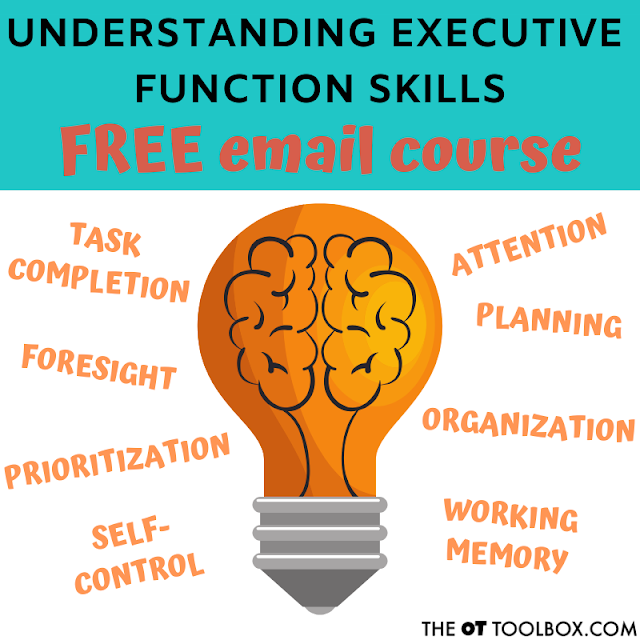 So, if you are wondering about executive functioning skills...or want to know more about how executive functioning skills work together in learning and everyday activities...join us in the free 5-day executive functioning skills email course! This course is entirely email-based. All you have to do is open your email and read! 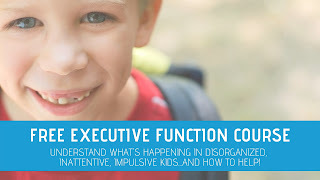 You'll discover the "why" behind executive functioning, what to do about impulsivity, tips and tools, and loads of resources related to executive functioning skills. We'll cover impulse control, including how we use all of the executive functioning skills along with self-control and self-regulation strategies to "get stuff done". This email course doesn't have homework or tests. 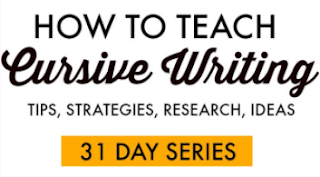 This mini-course is informative and low-key. Click the link below to confirm your subscription to the email course and you'll be on your way. Disclaimer: This email mini-course does not provide continuing education units or professional development units. 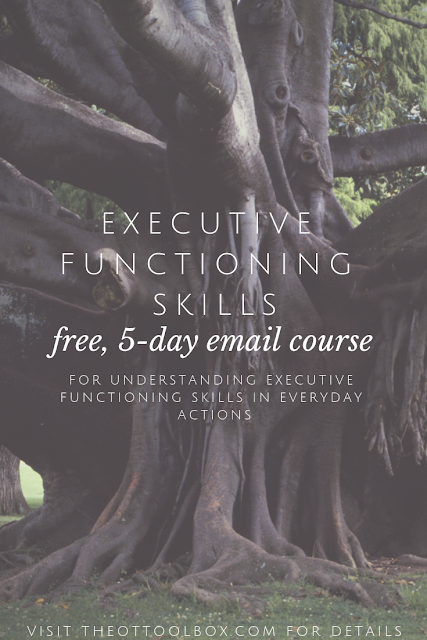 The course is not intended to treat or evaluate any executive functioning or impulse control needs. This mini-course is intended for information purposes only. The reader is responsible for any action or consequence as a result of strategies listed in the email mini-course or on this website. 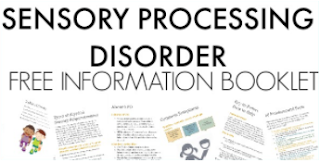 The OT Toolbox and it's author are not responsible for any results of actions taken as a result of reading this website or it's email or social media outlets. 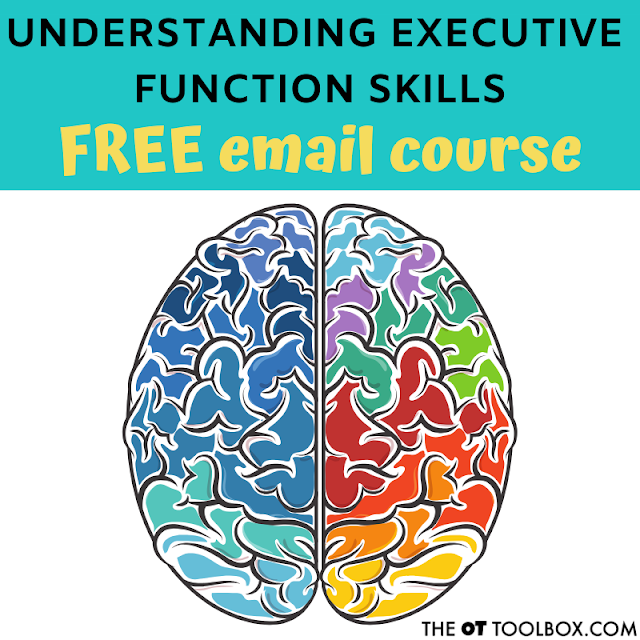 Know someone who would be interested in this free executive functioning skills course? Share the images below and let them know!